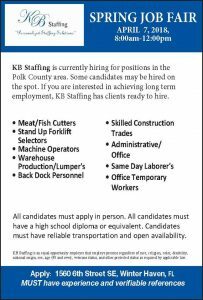 KB Staffing » Spring is in the Air, and So Are New Jobs! 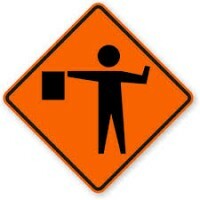 Spring is in the Air, and So Are New Jobs! 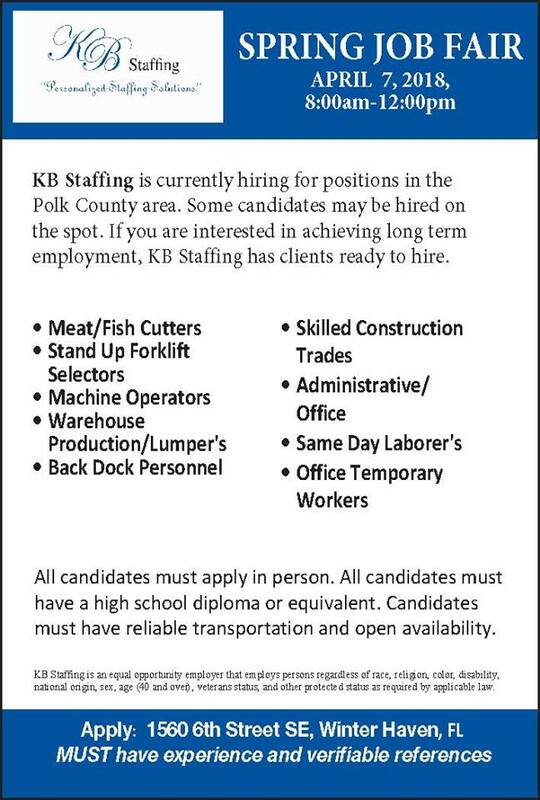 Come Out to the Spring Job Fair, Hosted by KB Staffing on April 7th! Whether you’re looking for a way to earn some extra income with office temporary work, or looking to find a new employer in your skilled construction trade, you should definitely clear your calendar for this Saturday, April 7th, and plan to attend our KB Staffing Spring Job Fair from 8 a.m. to 12 p.m. This job fair will be held at our Winter Haven Office, which is located at 1560 6th Street SE, but we are hiring for positions all throughout the Polk County area. All candidates must apply in person and must have a high school diploma or equivalent. You must also have reliable transportation and open availability. This job fair will not only be for temporary and temp-to-perm work, but we also have clients who are ready to hire. So if you come prepared and are interested in achieving long-term employment, you may be hired on the spot. Do not forget to bring documentation of your experience and verifiable references. One quick tip for you: call your references and let them know you are going to the fair on Saturday. This way, your references will be available and on-hand, should they be called to verify your experience. Whatever your career goals are, and whatever skill level you are currently at, KB Staffing can help you grow and bloom into an employee who loves what they do. Stop by our office at 1560 6th Street SE in Winter Haven to fill out an application, or visit our online application page, and start the process of rejuvenating your career! Whether It’s Temp Work or Permanent, What Would Shakespeare Say?